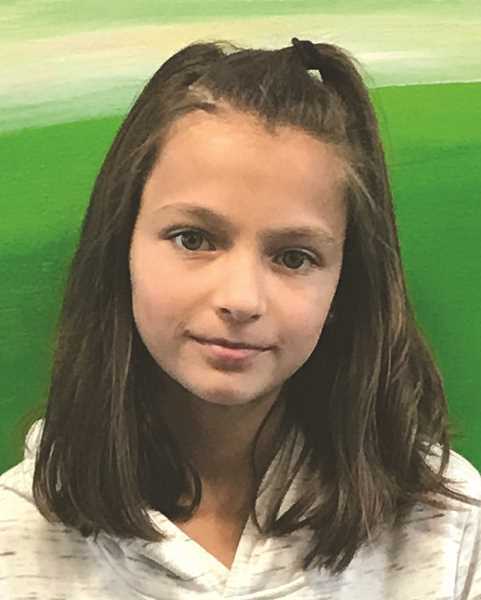 Juliana Valadzko, 11, daughter of Michael and Taisiya, and sibling to three sisters and two brothers, is in the sixth grade. Her favorite classes are English because she has a nice, calm teacher, social studies because she has a funny teacher and ESOL because her teacher is a lot of fun. Her favorite activities are to read and play with her brothers and sisters. She loves singing and is in choir class. When not at school, she actually likes to do homework. She would like to one day travel to Russia, because her family is from there and she has never been there. Her future goal is to be a veterinarian and help animals. Mr. Meyers wrote: "She helps to organize the class and helps struggling readers. She has a positive attitude and works well with other students. She has expressed a great interest in school and is doing well in her studies." 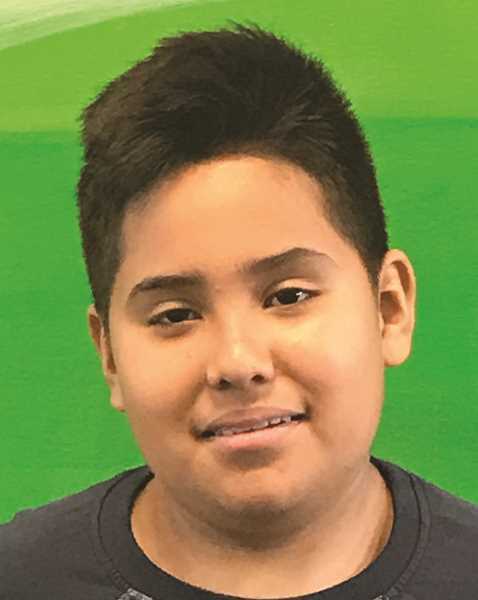 David Rojas Hernandez, 13, son of Clemencia and Juan Santiago Rojas Hernandez, and sibling to four brothers and sisters, is in the seventh grade. His favorite class is math and AVID — it is a fun and challenging class. His favorite thing to do when not at school is to play video games. A place he would like to travel would be China and see the Great Wall of China. His future goals after high school would be to design video games. Ms. Shultz wrote: "He is a super star! He is a creative student who likes to draw. His hidden talents are he is a great team player, a critical thinker and a helpful big brother. He sets high goals for himself and academic growth is a priority. He is an AVID Excel scholar this year." 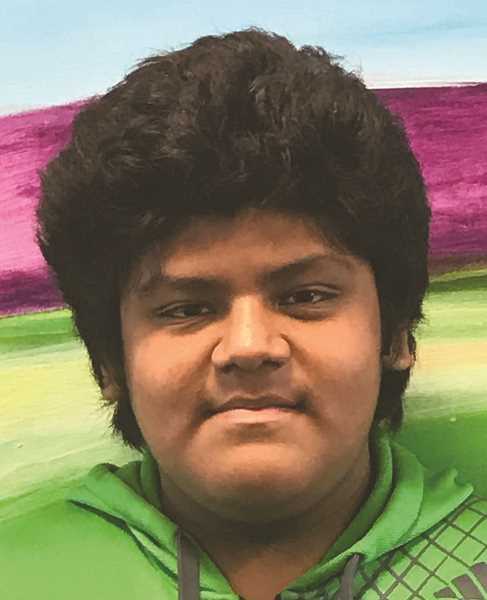 Bryan Ocampo Hernandez, 13, son of Isabella Hernandez, is in the eighth grade. His favorite classes are science because he loves to do experiments, and math because it helps you in life. His favorite activity is to play drums at church. His favorite thing to do outside of school is to play video games with friends and family. He would love to travel to Hawaii because it is tropical with perfect weather. He loves all the fruit grown there and the ocean. His future goals are to be a real estate agent. It would be a good job for him and he could help people find a home. Mr. Baker wrote: "He has a fantastic attitude in class. He always completes his work and seeks help when confused. He also offers help to other students when he understands a concept. His positive attitude and focus makes teaching his class a joy."